One of my favorite things about visiting Hong Kong is the variety it offers. In one little tiny spot on the globe, you can go from one of the most cosmopolitan cities on the planet to hiking it the trees and nature with views like this. Beaches, fabulous restaurants, world-class entertainment and an old-world charm just adds to the appeal. 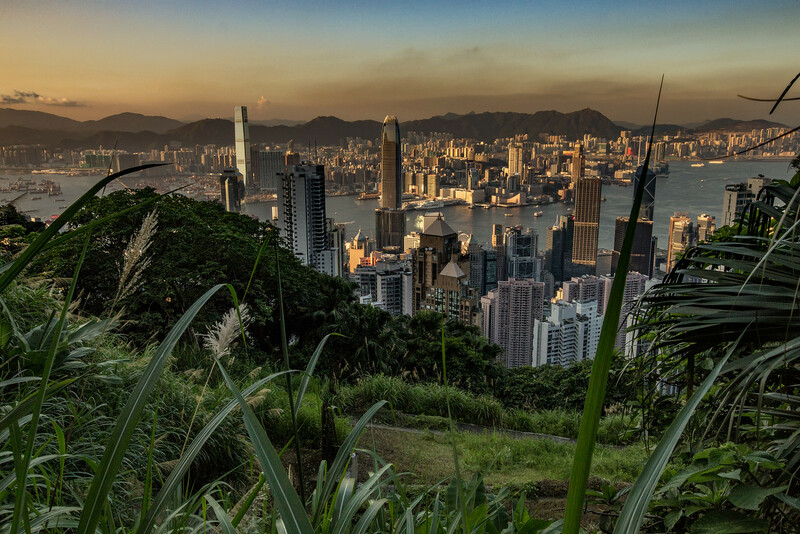 I made this photo on Victoria Peak after a 45-minute hike from the place we were staying in the mid-levels on Hong Kong Island. It was so beautiful I made many more trips up the peak and made many more photos. I will be adding more and you can click here to see more images I made of Hong Kong.